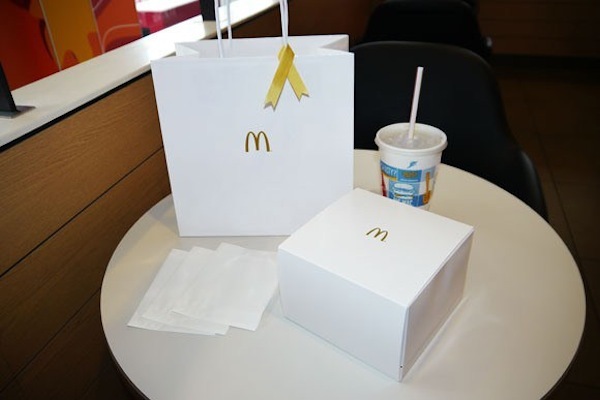 According to online Japanese news source RocketNews24, McDonald’s launched a trio of luxury burgers early last month in Japan. Each of the burgers in the ‘Quarter Pounder Jewelry’ series cost ¥1,000 (about US$10) without a meal (fries and soda not included)—but each includes quality ingredients, such as thickly-sliced pineapple and bacon, Monterey jack cheese, black truffle sauce, chorizo, and avocado. 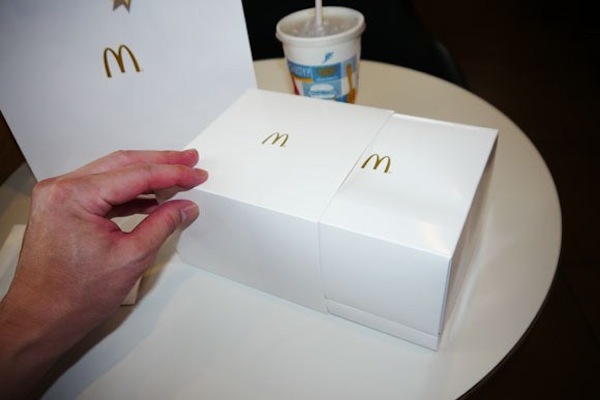 To match up to the quality of the premium burgers, the fast-food giant also packed them in exquisite-looking minimalistic packaging. 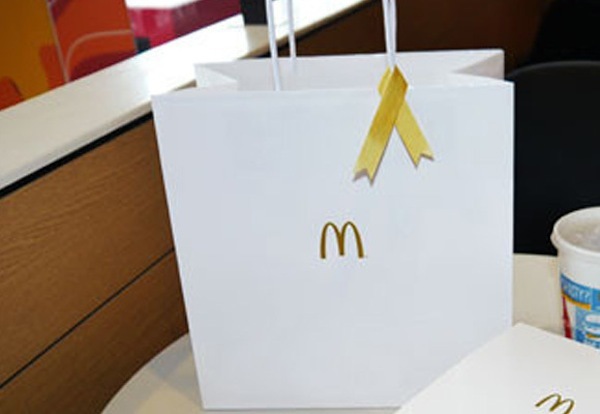 As opposed to its brown paper bags, McDonald’s used glossy white paper bags—much like those you’d receive when you shop at fancy branded outlets—that were printed with “golden arches” in gold foil on the front. 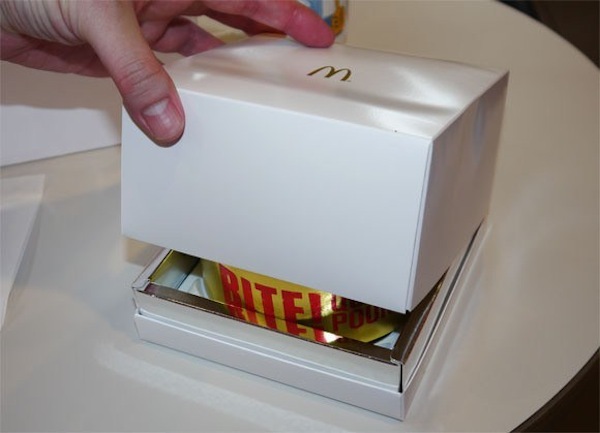 Each burger was also wrapped with a gold-colored paper sleeve, and placed in a luxury-watch-box-packaging lookalike of a glossy white paper box. Would you pay more for McDonald’s if they used quality ingredients and posh packaging? Or is this just decadent?